A little under two years had passed since Bahá'u'lláh's confinement in the barracks, when suddenly a most tragic event occurred. It was the untimely death of Mírzá Mihdí, entitled the Purest Branch, the younger brother of 'Abdu'l-Bahá, who was fatally wounded when he fell from the roof of the barracks. 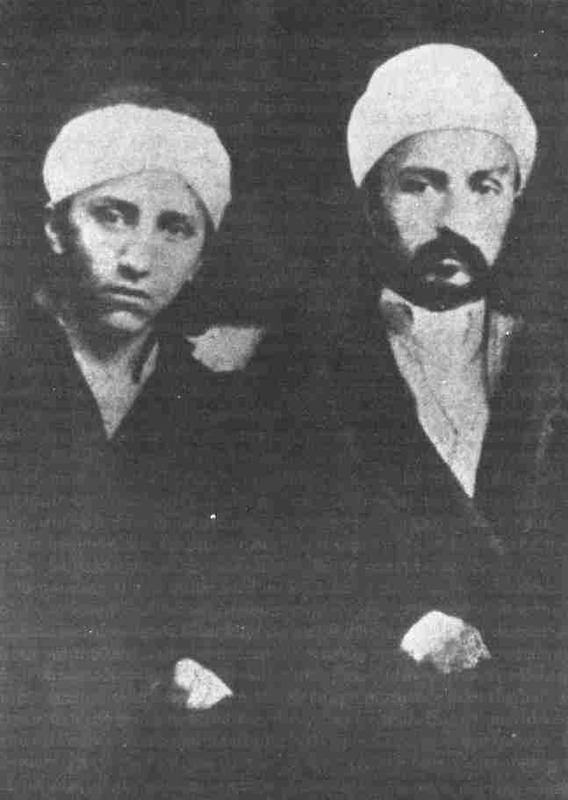 In 1848, at a time when the followers of the Báb were engulfed by sufferings and persecutions, a son had been born in Tihrán to Bahá'u'lláh and His illustrious wife Ásíyih Khánum, entitled Navváb. * He was four years younger than 'Abdu'l-Bahá and was given the name 'Mihdí', after a brother of Bahá'u'lláh who was dear to Him and had died a year before. Later the Pen of the Most High bestowed upon this son the title 'Ghusnu'lláhu'l-Athar' (The Purest Branch). * See vol. 1, p. 15.
had to be left behind in Tihrán in the care of relatives. For about seven years he tasted the agony and heartbreak of separation from his beloved parents. It seems that at this early age, his soul was being prepared by the Almighty through pain and suffering to play a major part in the arena of sacrifice and to shed an imperishable lustre upon the Cause of his heavenly Father. Mírzá Mihdí was taken to Baghdád to join the Family in the year AH 1276 (circa AD 1860). It was in that city that this pure and holy youth, noted for his meekness, came in touch with the Divine Spirit and was magnetized by the energizing forces of Bahá'u'lláh's Revelation. From that time on, he devoted every moment of his life to the service of his heavenly Father. He was Bahá'u'lláh's companion in Baghdád, Adrianople and 'Akká, and served Him as an amanuensis* towards the end of his life, leaving to posterity some Tablets in his handwriting. The last ten years of his life were filled with the hardship and suffering inflicted on Bahá'u'lláh and His companions in the course of the three successive banishments from Baghdád to 'Akká. The Purest Branch resembled 'Abdu'l-Bahá, and throughout his short and eventful life he displayed the same spiritual qualities which distinguished his illustrious Brother. The believers loved and venerated him as they did 'Abdu'l-Bahá. * It must be noted that although Mírzá Áqá Ján was Bahá'u'lláh's amanuensis, there were also others who were engaged in this task from time to time. It is not possible for anyone to visualize the measure of humility and self-effacement and the intensity of devotion and meekness which the Purest Branch evinced in his life. He was a few years younger than the Master, but slightly taller than him. He used to act as Bahá'u'lláh's amanuensis and was engaged in transcribing the Writings...When he had finished writing he was in the habit of going on to the roof of the barracks for prayers. There was a skylight, an opening in the middle of the roof near where the kitchen was situated. As he was pacing in a state of prayer, attracted to the Kingdom of Abhá, with his head turned upwards, he fell through the skylight down on some hard objects. The terrific loud sound of the impact made us all run to the scene of the tragedy where we beheld in astonishment what had happened as decreed by God, and were so shocked as to beat upon our heads. Then the Ancient Beauty came out of his room and asked what he had done which caused his fall. The Purest Branch said that he knew the whereabouts of the skylight and in the past had been careful not to come near it, but this time it was his fate to forget about it. Members of the Holy Family and some of the companions gathered around him and all were so distressed and grief-stricken that 'Abdu'l-Bahá with tearful eyes entered the presence of Bahá'u'lláh, prostrated Himself at His feet and begged for healing. Bahá'u'lláh is reported to have said 'O my Greatest Branch,* leave him in the hands of his God.' He then proceeded to the bedside of his injured son, dismissed everyone from His presence and stayed beside him for some time. Although no one knows what took place in that precious hour between the lover and the Beloved, we can be sure that this son of Bahá'u'lláh, whose devotion and love for the Cause of His Father knew no bounds, must have been exhilarated by the outpouring of bounties and love from his Lord. could manifest the spirit of lowliness and utter self-effacement as He did. The humility of 'Abdu'l-Bahá as He bowed before His Father, or prostrated Himself at His feet or dismounted His steed when He approached the Mansion in which Bahá'u'lláh resided, demonstrates this unique relationship which existed between this Father and His faithful sons and daughter. In the light of all this we can appreciate how the Purest Branch must have felt when his Father went to his bedside. What expressions of devotion, love and thanksgiving must have passed through his lips on that occasion, we cannot imagine. All we know is that Bahá'u'lláh, having the power of life and death in His hands, asked His dying son whether he wished to live. He assured him that if this was his wish God would enable him to recover and grant him good health. But the Purest Branch begged Bahá'u'lláh to accept his life as a ransom for the opening of the gates of the prison to the face of the many believers who were longing to come and enter the presence of their Lord. Bahá'u'lláh accepted his sacrifice and he died on 23 June 1870, twenty-two hours after his fall. Thus ended the life of one of whom Bahá'u'lláh states that he 'was created of the light of Bahá', whose birth had taken place during some of the darkest hours in the history of the Faith, whose infancy had been spent within the cradle of adversity, whose soul at an early age had been set aglow with the fire of ordeal and separation, whose days of joy had been spent in exile and within the walls of a prison, and whose tragic death had clothed him with the crimson vesture of sacrifice, shedding thereby an imperishable lustre upon the Cause of his glorious Father. ‡ Another person who took part in washing the body was Mírzá Hasan-i-Mázindarání, Bahá'u'lláh's cousin. See p. 216. After his tragic death the saintly mother of the Purest Branch mourned the passing of her beloved son and wept almost incessantly. When Bahá'u'lláh assured her that God had accepted her son as a ransom, that the believers might attain the presence of their Beloved and that mankind as a whole be quickened, that noble mother was consoled and her weeping ceased. The blood-stained clothes of the Purest Branch are among the precious relics gathered by the hands of his devoted sister, the Greatest Holy Leaf, and left to posterity as a silent witness to this great sacrifice. Soon after the martyrdom of the Purest Branch many restrictions in the barracks were relaxed and several believers who were longing to attain the presence of Bahá'u'lláh did so. And about four months after this tragic event, Bahá'u'lláh and His companions left the prison barracks altogether. As we shall see later, Bahá'u'lláh resided in a house in 'Akká, and soon many pilgrims from Persia came and attained His presence. 3. Quoted by Shoghi Effendi, 21 December 1939, 'The Spiritual Potencies of that Consecrated Spot', Messages to America, p. 34.
company of a few friends, with great care and with his own hands, removed the remains of the Purest Branch, together with those of his illustrious mother, from two different cemeteries in 'Akká, and at a profoundly moving ceremony on Christmas Day in the presence of a few believers, carried the caskets on his own shoulders and buried those sacred remains on the slope of Mount Carmel, adjacent to the resting place of the Greatest Holy Leaf and in the vicinity of the Shrine of the Báb. The death of the Purest Branch must be viewed as Bahá'u'lláh's own sacrifice, a sacrifice on the same level as the crucifixion of Christ and the martyrdom of the Báb. Shoghi Effendi, the Guardian of the Faith, states that Bahá'u'lláh has exalted the death of the Purest Branch to the 'rank of those great acts of atonement associated with Abraham's intended sacrifice of His son, with the crucifixion of Jesus Christ and the martyrdom of the Imám Husayn...' 4 In another instance, Shoghi Effendi states5 that in the Bábí Dispensation, it was the Báb himself who sacrificed His life for the redemption and purification of mankind. In the Dispensation of Bahá'u'lláh, it was the Purest Branch who gave his life releasing thereby all the forces necessary for bringing about the unity of mankind. Although we will not be able to fully understand the mystery of sacrifice in this world, we can find through the Writings that there is a tremendous power released when man sacrifices something in the path of God. We have already discussed this theme in volume 2. In one of His Tablets, 'Abdu'l-Bahá explains that not until a seed completely disintegrates under the soil can it produce a tree. It is then that an object as insignificant as a seed, by sacrificing itself completely, will be transformed into a mighty tree with branches, fruits and flowers. It is the same when man sacrifices something of his own. 4. God Passes By, p. 188. 5. Letter to the believers in the East, 25 December 1939.
him, the animal and the spiritual. The animal nature inclines man to the material world. The Manifestations of God have exhorted their followers to detach themselves from material inclinations so that their spiritual side may dominate over the physical. As we have already stated in this and previous volumes,* by detachment is not meant renunciation of the world, mendicancy or asceticism. In a nutshell, detachment is to submit one's will to the will of God and to seek His good pleasure above one's own. Therefore, the challenge to every believer in this life is detachment from all else save God. To become detached from something of this world is often a painful process and this is where sacrifice becomes necessary, because man is attracted to the material world and to his own self by nature. When the believer sacrifices something of this world, an act which entails pain and suffering or deprivation of material benefits, he will attain to a higher spiritual status, depending on the measure of sacrifice. * For more discussion on this important subject see vols. 1 and 2. Being the sacrifice of Bahá'u'lláh Himself, the Purest Branch by offering his life as a ransom for the opening of the gates of the prison, released incalculable spiritual energies within human society, energies which in the fullness of time, according to Bahá'u'lláh, will bring about the unity of the human race. In a prayer revealed by Bahá'u'lláh on the day that the Purest Branch died, Bahá'u'lláh has made the following statement which Shoghi Effendi described as 'astounding'. * For further information see God Passes By, pp. 389-95. † see vol. 2, p. 94. 6. Letter to the believers in the East, Ridván 89 (= April 1933). 7. Quoted in Messages to America, p. 34.
on the occasion of the transfer of the remains of the Purest Branch and his illustrious mother to their glorious resting places on Mount Carmel, has made it clear that the quickening of the peoples of the world, the unity of the nations on this planet, and the oneness of mankind--which are the primary objectives of this Revelation--will be all realized through the mysterious forces released by the sacrifice of the Purest Branch. How befitting, therefore, that the buildings intended to house the international administrative institutions of the Faith--the vehicle through which the world-redeeming, world-embracing Order of Bahá'u'lláh is to be established on the surface of this planet, thereby achieving the unity of the human race--are to be situated on the slopes of Mount Carmel around an arc in whose very centre lie not only the remains of the illustrious daughter of Bahá'u'lláh, the Greatest Holy Leaf, and of her mother, but also those of a noble son sacrificed by his Almighty Father so that we, his servants, 'may be quickened and all that dwell on earth may be united'. † see vol. 1, pp. 262-3; vol. 2, pp. 416-17. 9. Messages to America, pp. 32-3. At this very moment My son is being washed before My face, after Our having sacrificed him in the Most Great Prison. Thereat have the dwellers of the Abhá Tabernacle wept with a great weeping, and such as have suffered impisonment with this Youth in the path of God, the Lord of the promised Day, lamented. Under such conditions My Pen hath not been prevented from remembering its Lord, the Lord of all nations. It summoneth the people unto God, the Almighty, the All-Bountiful. This is the day whereon he that was created by the light of Bahá has suffered martyrdom, at a time when he lay imprisoned at the hands of his enemies. 10. Quoted in Messages to America, pp. 33-4.
washing his body. This Tablet was revealed when Bahá'u'lláh directed Mírzá Hasan to return home. This kinsman of Bahá'u'lláh was very dear to Him. It was Bahá'u'lláh Himself who, in the early days of the ministry of the Báb, had converted his father Mullá Zaynu'l-'Ábidín (a paternal uncle of Bahá'u'lláh) to the Faith. 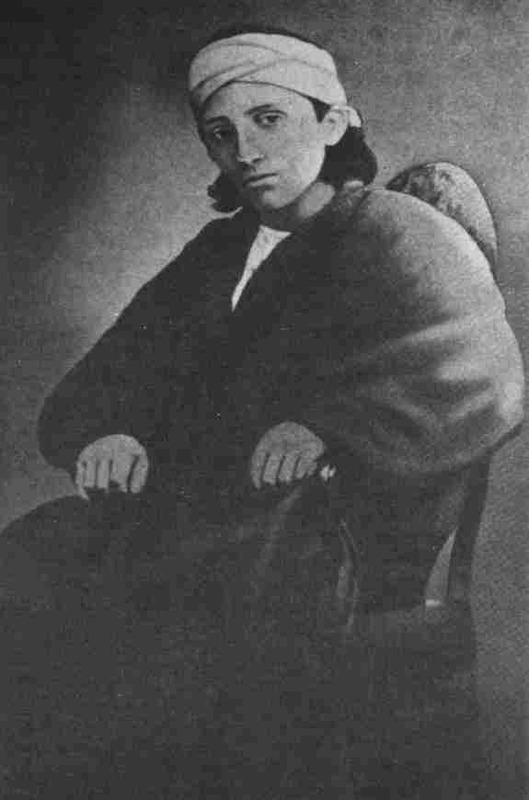 His son Mírzá Hasan was devoted to the Cause and had dedicated himself to the service of its Author. In the opening passages of this Tablet, Bahá'u'lláh urges Mírzá Hasan to offer thanks to God for having enabled him to enter the presence of His Lord, being the first among Bahá'u'lláh's relatives to do so in the Holy Land. Also, to treasure His gracious favours through which the ties of kinship were not severed. He affirms that the bounty of retaining this family tie was so precious that nothing in this world could equal it. As already stated in previous volumes,* a number of Bahá'u'lláh's relatives including uncles and cousins, as well as brothers and sisters, fully recognized the station of Bahá'u'lláh and became his devoted followers. In His sight they were distinguished from the rest, for they had strengthened their physical relationship with spiritual ties of faith. Since the primary mission of the Manifestation of God is to confer spiritual life upon the souls, those who become deprived of this are therefore reckoned as dead in His estimation. In the Writings of Bahá'u'lláh and in the Holy Books of other religions, the word 'dead' is often used to refer to those devoid of faith and spiritual life. In the light of this, it becomes clear that those among Bahá'u'lláh's relatives who were not illumined with the light of faith had, indeed, severed their relationship with Him. * see vol. 1, pp. 8, 12-16, 49-51, 122-3; vol. 2, p. 205n. were praiseworthy in the sight of God. He counsels him to detach himself from the world and its transitory vanities. Instead he should endeavour to adorn himself with the glory of His Name which is imperishable and everlasting. The rest of the Tablet consists of exhortations to other people. First, there is a long message which appears to be addressed to Bahá'u'lláh's half-brother Mírzá Ridá-Qulí. He does not mention his name in this Tablet, but from the tone and contents of Bahá'u'lláh's words, one may deduce that it is probably for him. In a previous volume* we have referred to this brother briefly. Although his wife Maryam,† a cousin of Bahá'u'lláh, was a devoted believer, Mírzá Ridá-Qulí himself was not touched sufficiently by the light of the Faith to enter into the fold. He remained distant from Bahá'u'lláh and there is a suggestion in this Tablet that at one stage he had requested Bahá'u'lláh not to write to him. It must be noted that from time to time Bahá'u'lláh had maintained communication with this brother and urged him to open his inner eyes so that he might behold his Lord and embrace His Faith. In this Tablet Bahá'u'lláh expresses His grief and deep sorrow for a brother who remained aloof from the Cause of God, and with loving-kindness exhorts him to arise and make amends. * see vol. 1, p. 12. † see vol. 1, pp. 12-13. ‡ see vol. 2, passim. Man is like unto a tree. If he be adorned with fruit, he hath been and will ever be worthy of praise and commendation. Otherwise a fruitless tree is but fit for fire. The fruits of the human tree are exquisite, highly desired and dearly cherished. Among them are upright character, virtuous deeds and a goodly utterance. The springtime for earthly trees occurreth once every year, while the one for human trees appeareth in the Days of God--exalted be His glory. * For further information about him and the change that took place in his attitude towards Bahá'u'lláh see vol. 2, pp. 399-401. 11. Quoted by Hájí Mírzá Haydar-'Alí, unpublished biography of Mírzá Abu'l-Fadl, p. 150. 12. Tablets of Bahá'u'lláh, p. 126. 13. Tablets of Bahá'u'lláh, p. 257.